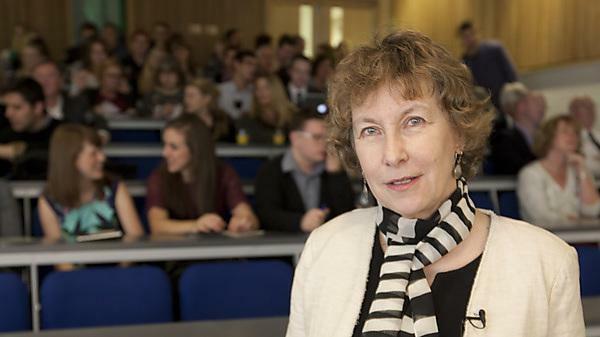 ​Professor Alison Wolf CBE presented a prestige lecture at University of Plymouth on 23 October 2012 entitled 'Can we educate our way out of trouble?' During this interesting and informative lecture she demonstrated society’s expectations of education and how far education can solve economic and development issues. The full lecture from the evening is available on this page. Professor Wolf was awarded the CBE for services to education in The Queen's 2012 birthday honours. She specialises in the relationship between education and the labour market and has a particular interest in training and skills policy, universities, and the medical workforce. Professor Wolf is also highly involved in policy debate, both in this country and more widely. She has been a specialist adviser to the House of Commons select committee on education and skills; writes widely for the national press and is a presenter for Analysis on BBC Radio 4; and in March 2011 completed the Wolf Review of Vocational Education for the Secretary of State for Education. ​While most of her current work focuses on the interface between education institutions and labour markets, Professor Wolf also has long-standing interests in assessment, and in mathematics education. She was awarded the 2008 Sam Aaronovitch memorial prize for her article in Local Economy on the Leitch Review of Skills. Professor Wolf has been an adviser to, among others, the OECD, the Royal College of Surgeons, the Ministries of Education of New Zealand, France and South Africa, the European Commission, the International Accounting Education Standards Board, and the Bar Council. She was educated at the universities of Oxford (MA, MPhil) and Neuchatel; spent her early career in the US working as a policy analyst for the federal government, and spent many years at the Institute of Education, University of London, where she is a visiting professor.